New daily precipitation record: December 8, 2009: 0.72 inches. Old record: 0.37 inches set in 1919. New daily precipitation record: December 25, 2009: 0.62 inches. Old record: 0.42 inches set in 1892. The December 2009 total of 24.3 inches is within 2 inches of the most snowfall for any month since records began in 1899. 6th greatest one-day snowfall ever recorded for Lincoln. 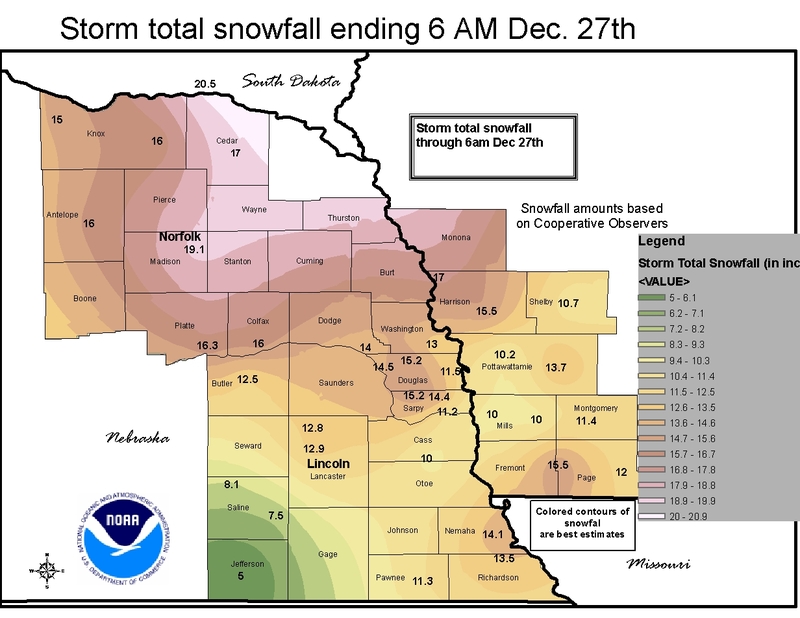 The 11.2 inches that fell December 24-25 is the 8th greatest 2-day snowfall total for Lincoln. Precipitation measurement units are "inches"
Additional data for Lincoln, NE can be found at the HPRCC web site. 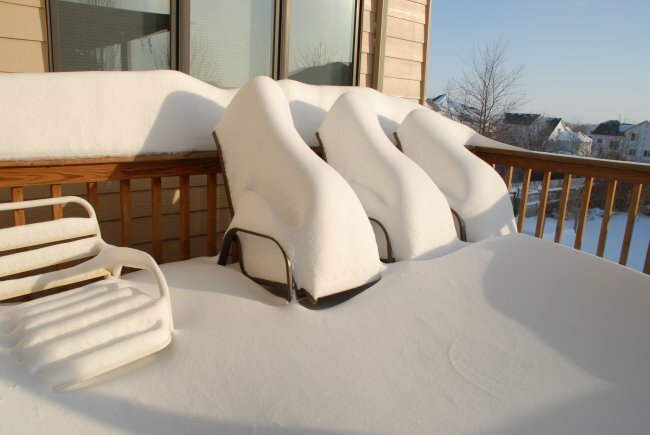 December 9, 2009: The morning after the blizzard. Photos and details here. Warmest recorded December temperature, 75 F, December 6, 1939. Coldest recorded December temperature, -27 F, December 22, 1983. Most December Snowfall: 22.3 inches, 1945. AVERAGE AND TOTAL are DECEMBER 2009. DEPARTURE is DECEMBER 2009 Average measured against 1971-2000 Normals.